I spent a couple days with my grandfather and mom has been at the hospital every day, so work took a backseat for a bit. With all that’s been going on, I’m having a hard time remembering what we accomplished last week. Bear with me while I try to piece it together. I cut and drilled mounting plates that dad will weld onto the trailer frame to hang my drain pipe from and I cut up some rebar that will go in the pad. I lined the headers above windows and door with 1/2″ rigid foam and nailed in most of the electrical boxes. Dad has been busy helping out with the ground work, covering pipes and such. 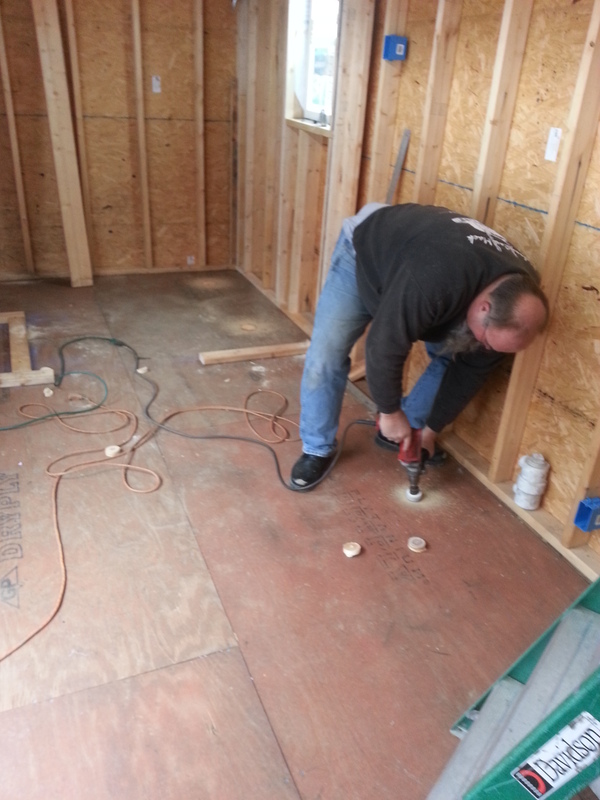 We laid out where the interior walls are going and dad drilled holes in the floor for the pipes. 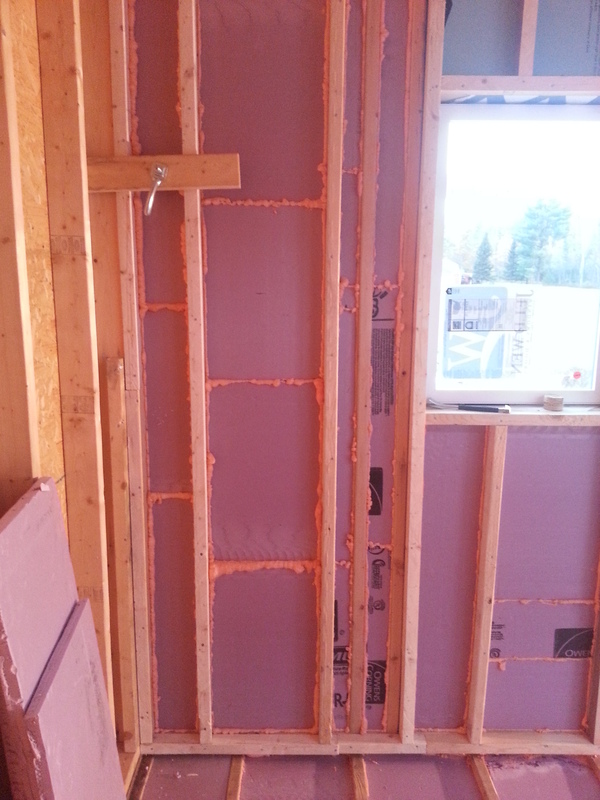 We also built up a 2-inch wall over the bathroom wall, since it’s an exterior wall, so we could run the shower pipes without compromising insulation. We’ve also had visits from the plumber and electrician that were very enlightening (no pun intended). We had to adjust the design a bit to make sure plumbing is to code. I will try to explain the changes in a future post, once pipes are in and I have pics. I’ve also done away with the pocket door so that we can fit the electrical panel in the bathroom wall, since we were running out of interior walls to use. This week I have been experimenting with different ways to cut the 3″ rigid foam insulation. I will write more about this in another post, as well. It is VERY time consuming and hard on the hands. I have half of the floor, and the wall behind the shower and toilet, filled and have filled the cracks with spray foam. 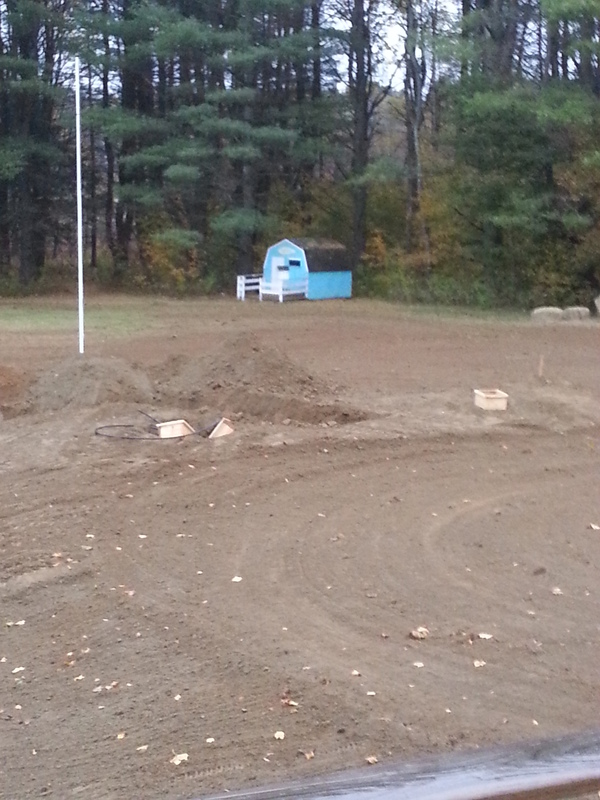 Tomorrow is supposed to be sunny and we hope to put up the siding or roof. We are hoping my grandfather will be well enough to go to rehab today or tomorrow and hope to have him home next week. All of this hasn’t stopped him from working… The day of his procedure, he was a little loopy and kept asking us who made the cabinet and bed in his hospital room and asking why they didn’t continue with the ceiling tiles all the way to the windows. And, being true to his title, he told me twice not to work too hard! Hope the safety supervisor is back on the job soon….